Hot sauce, a hot boyfriend, and a spiced up life – these are things that most of us enjoy. Emma and Eliot are really no different, but can they make the leap from unlively to spicy and reconnect with each other as well? Another theme here is communication. Some of my confusion seems to stem from cultural differences between American styles of communication and other cultures’ styles. (Sartor: 2014) But a lot of the issues in this story come from a lack of communication or inability/unwillingness to put into words what each person is feeling or wants. Instead of Emma talking about issues with her husband or son, she runs away. Later though we find her talking with a stranger in the park about all the issues she’s facing – why not just talk to the people involved? Like mother like son. Elliot also suffers from this when we see him not verbalizing what he feels with his “friend with benefits” and then later with Ian. I do see communication through food though. 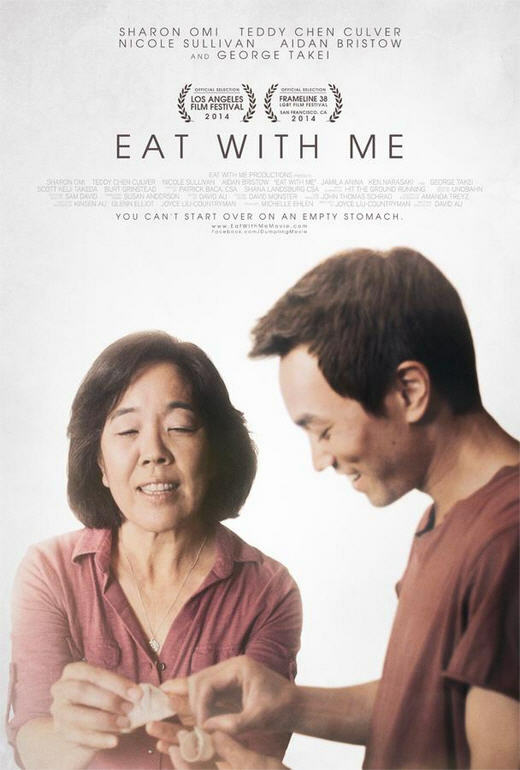 In this movie we see in almost every case that involves food some kind of communication or connection. In the very beginning Elliot takes care of his mother who is in a vulnerable state by offering her some dinner which brightens her eyes (at first). They bond later over dumplings which leads to more bonding with other characters. Baked goods fare even better in this story! The taco truck both connects the two and expands what is acceptable. Food is not only the way to a man’s heart here, but also the key to communication. There are also some issues with control or being out of one’s comfort zone. Emma and Elliot both want to be in control of their lives, and if that means life is a bit boring then so be it. But when they do let things happen, life gets a little bit better (and a lot more entertaining and fun to watch)! The simple act of going to a get dinner from a food truck is out of Emma’s comfort zone. She wondered if she could ever eat food from a truck because you don’t know how they make it or if it’s dirty. But once she does it opens up the possibility it might be good or fun. Going a giant leap forward, a little bit of ecstasy also puts her completely out of control, but also opening up an entirely other way of being. For Elliot, the ecstasy scene is juxtaposed with scenes of a romantic gesture where he lets go and takes a step forward. The story is a little slow sometimes, and can be a little confusing. Cultural parts of the story have been seen in movies like The Wedding Banquet (1993) where we have the conservative, Asian parents coming to stay with their child and have to connect with them on a real level. Other parts of this movie are more unique where we go more in depth with the family connection and likeness, and how that can make the process more difficult. One of the best parts of the movie was the character of the neighbor, Maureen, who adds humor, levity, and sometimes a sage word or two into the mix. Her antics provide a start contrast (and contrasting theme) to the sometimes bland behavior of he other two. Ian also provided some freshness to the movie in contrast of the themes above. Overall I enjoyed the film. There were some great moments, and some good things to take away from the film. Letting go often lets you experience something you wouldn’t have thought you would. Although hot sauce is tasty, you can’t squirt some on life to make it better. But hot sauce can be a delicious metaphor.